For the first time since I started my new job two-and-a-half-months ago, I'm finally feeling somewhat settled. One of the side effects of that feeling is that I'm playing--and enjoying--more games than I have in ages. Given that, I thought now would be the perfect time to type up another "Shall We Do It?" post that compiles some of my thoughts on the four portable titles that are mentioned in the header above. Danganronpa (Vita)--Although my precious pink-and-white Vita has been in my hands for a couple of weeks now, I didn't actually play a game on it until this weekend due to the vacation that popped up just after the system arrived on our doorstep. The first game I stuck into my Vita's cart slot, of course, was NIS' acclaimed Danganronpa, a dark visual novel that certainly didn't disappoint in the couple of hours I spent with it on Saturday and Sunday. As much as I'm loving Danganronpa's well-crafted, whodunnit-style story, though, I'm loving Rui Komatsuzaki's delicious-looking art even more. I also really like how playing this game "feels." Stalking the halls of Hope's Peak Academy is more engaging than I thought it would be, for instance, and interacting with your surroundings in other ways (such as clicking on background elements to learn more about them, or doing the same to your comrades to converse with them) is similarly enjoyable. That's about all I can say about Danganronpa at the moment, I'm afraid, but I can assure you I'll continue to plug away at it this coming week, so hopefully the impressions I share in my next "Shall We Do It?" post (which I hope to publish about seven days from now) will dig a bit deeper into the experience. Dokuro (Vita)--Danganronpa isn't the only Vita game I spent some time with this past weekend. 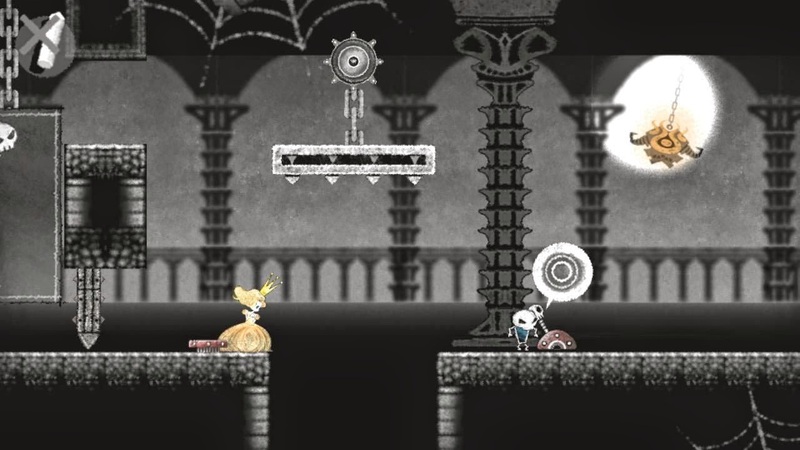 I also bought--for just $2.99 via PSN--and played Dokuro, a Game Arts-developed puzzler-platformer that's quite a looker in its own right. This digital effort is attractive in a slightly different way than Danganronpa is, though; here, the visuals look like they've been created using colored chalk or crayons. The effect isn't quite as eye-popping as, say, the original Yoshi's Island, but it's still undeniably pretty. As for the rest of the game, well, I like it, but I can't say I'm head-over-heels in love with it. Players are given a good number of things to do--like pushing boxes, flipping switches and even carrying princesses--and the great majority of them provoke a lukewarm feeling of accomplishment, but on the whole, so far, Dokuro seems to lack a bit of energy. Hopefully things will pick up as I continue to pick away at the adventure at hand, which is exactly what I'm planning to do (to an extent, at least) over the course of the following week or two. Final Fantasy: Record Keeper (iOS)--This mobile RPG's North American launch came out of nowhere for me. I vaguely remember hearing about its Japanese release, but I assumed it would remain unique to that region and so quickly forgot about it. Given its nostalgic content and liberal use of sprites, though, I nabbed it from the iOS App Store as soon as I heard about it. Anyway, I'll give it a fair shake before dumping it--which means I'll give it at least a couple of more plays between now and the next time I write about this Final Fantasy offshoot. My World, My Way (DS)--Of all the games included in this write-up, this Atlus-published RPG is the one I put the most hours into over the last week. In fact, I'm pretty sure I've put more time into this title than any of the others than have been played as part of my "A Decade of DS" series. I'm going to publish a more in-depth post about this quirky DS game shortly, so I don't want to share too much about it here, but one thing I definitely want to get across is that I'm having a blast with it. If you've never heard of it, it's an RPG that stars a spoiled princess who channels her inner adventurer in order to attract the attention of a handsome bloke--an adventurer himself--who has melted her heart. One of the handful of elements that sets My World, My Way apart from the JRPG pack is that its spoiled-princess protagonist has to juggle "pout points" as well as experience and hit points. 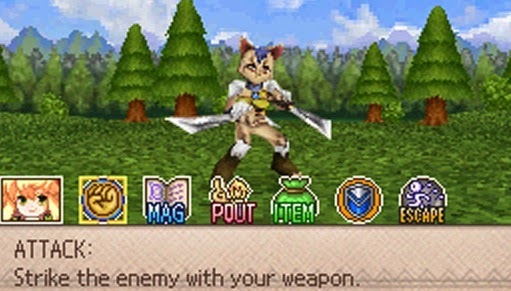 By pouting, Elise (that's the princess' name) can alter the landscape around her, call more enemies to a particular area, force them to drop more items or experience points than they would otherwise and a number of other interesting actions. As intriguing as that may sound, My World, My Way's definitely not for everyone. It's pretty repetitive, for one, plus it's far from the most attractive of DS games. That said, it's managed to keep my attention for more than five hours so far, so maybe its allure is more than the sum of its somewhat-unappealing parts? Have any of you played some or all of the games discussed in this post? If so, please share your thoughts on them in the comments section below. I've been curious about Record Keeper since it came out, but I'm unwilling to pull the trigger after the last FF mobile game. My World sounds like a riot. Pout Points?! I might have to dig up a copy of that, just to see that mechanic at work. As for My World, My Way, I don't know that I'd call it a riot, but it's definitely an intriguing little RPG. The dialogue is breezy and fun, and I like the main characters, plus I'm simply finding the otherwise-fairly-vanilla gameplay to be appealing. Anyway, yes, I've definitely got my hands full of great games at the moment, which is a really nice feeling when you take into account how little time I've had for such things lately. As for my first Vita games (maybe I should write that My First Vita GamesTM? 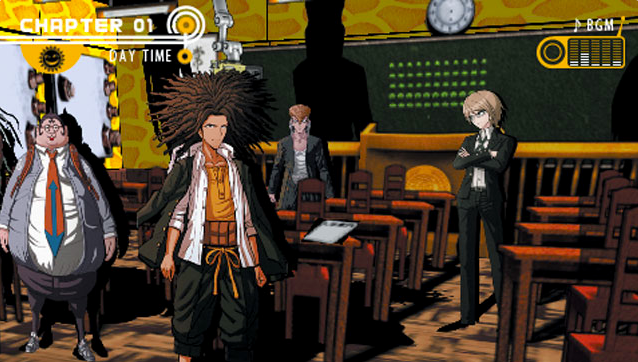 ), yes, I'm enjoying them immensely at the moment--Danganronpa, especially. I have high hopes that Dokuro will get better as time goes on, though, so don't take my sort of humdrum attitude in this post too seriously. I'm not feeling so positive about Record Keeper right now, but maybe I just haven't given it enough time? What is it that appeals to you the most about this game, Franggio? Is it just the soundtrack, or do you like other aspects of it, too? Oh, wow. I'm so sorry to hear about your dad, Franggio. I can only imagine how horrible you feel right now. I know I can't really help you feel better, or help you "get over it" (as if such a thing is really possible), etc., but I hope that in time the pain lessens a bit and you are able to feel joy again or remember your dad without feeling like you've just been punched in the gut. Also, thank you for the kind words about me and this blog. I get so much joy out of "chatting" with people like you, so to hear that you've gotten joy out of it too makes me even happier. Thanks Bryan, what I meant, worded badly is that this is a part of it that makes me feel better. Maybe sounds stupid but everyday things, little things those help a lot :) It's just a roller coaster atm. I'm glad to hear that, Franggio--that this site can help you feel at all better, I mean. found it really interesting and helpful. games and I learn so much from reading it.